By far one of my favorite Old 97's songs and is perfectly applicable to my social life with my younger sister. 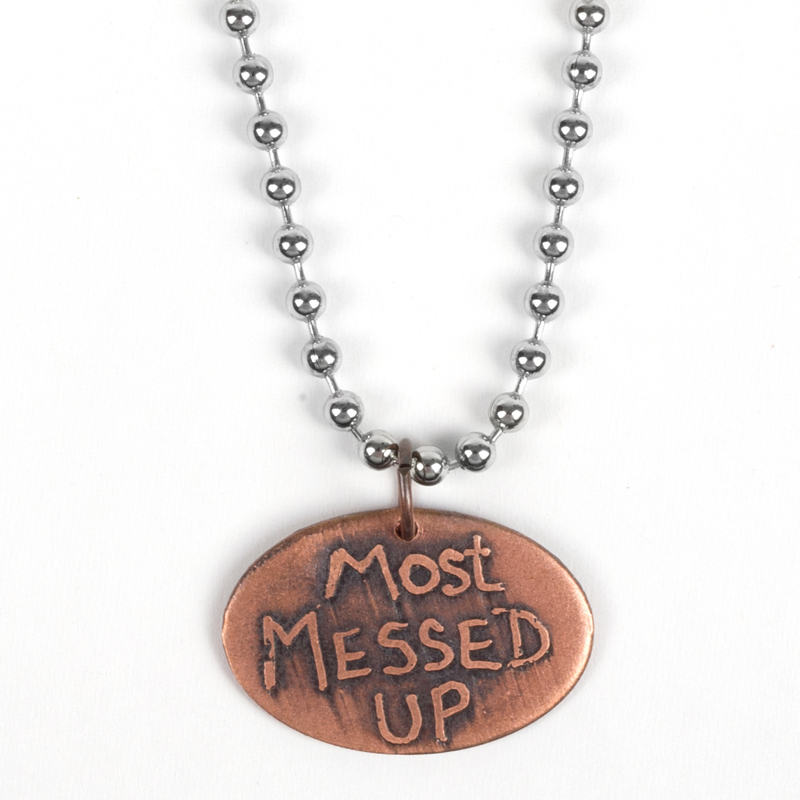 Naturally, after seeing this necklace after a Union Transfer show, I HAD to get it for my sisters birthday gift. I got 2 thinking it would be an adult version of the cheesy, plastic, broken best friend heart necklaces from my youth. I ordered way in advanced so wasn't super upset that it took almost a month to be delivered. When the package finally arrived (even though I had almost forgotten I ordered it) I was so psyched about it, I immediately tore it open to try mine on. 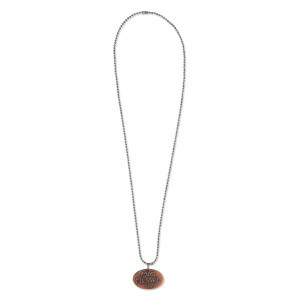 The pendant is cute but it resembles one of those crushed pennies you'd get at a museum of some sort. I don't know for sure, mostly out of fright, but the metal seems like it would turn skin green if worn often enough. 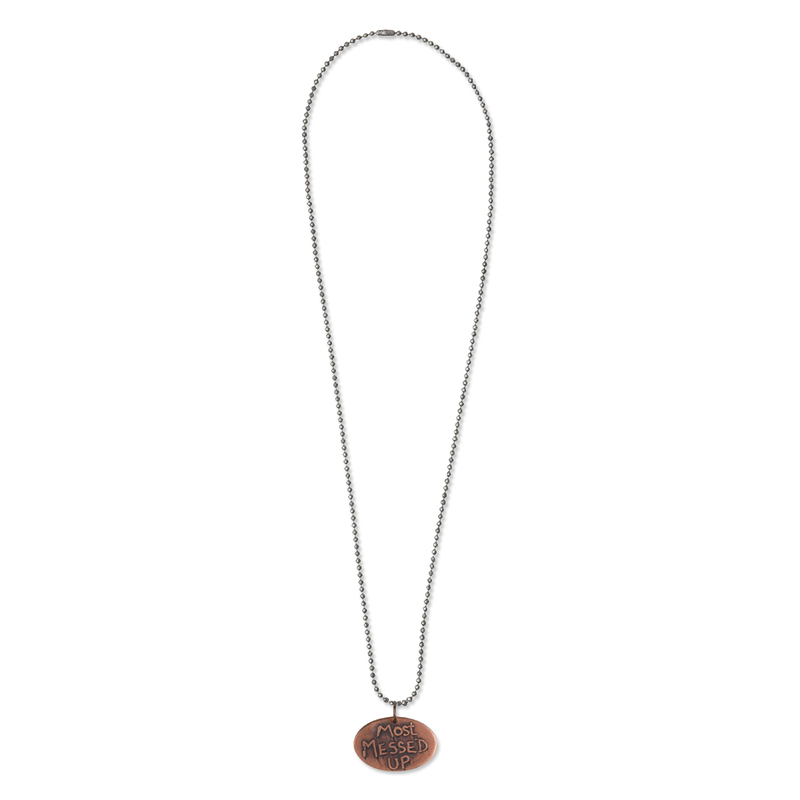 The chain is pretty simple and reminds me of something used to attach tags to clothes. It was a little short for my liking but I found the same style chain in a longer length at a local craft store. Overall, the pendant message is awesome. Not only for a fan, but for anyone who parties too much. I wish the quality was better, but for the price it can't be beat.